This is your go-to performance shortboard. The template is fairly wide through the nose and tail, giving it plenty of planing area. Coupled with a speed rocker; fairly low entry and flat middle section, this board carries loads of speed to skate through flat sections or power through critical sections. The single to double concave and slight tail flip allows you to control the speed for full rail carves or vertical snaps. 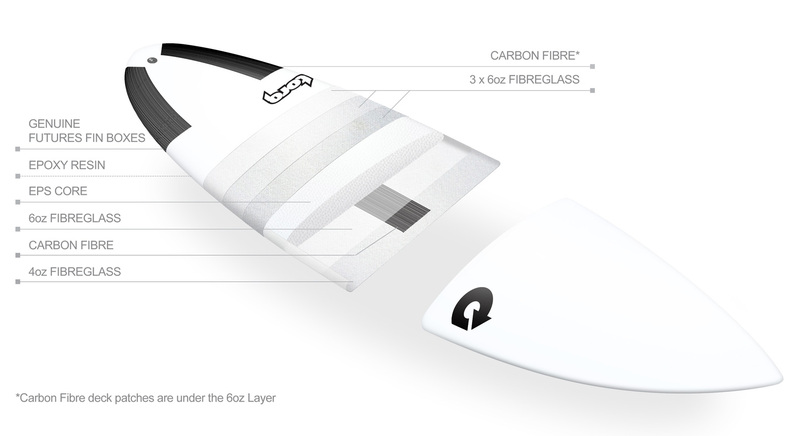 For everyday waves from mushy 2ft to clean 6ft at your local beachie, reef or point, this is the go-to shortboard.